Two sizes: Small (19"W x 9.5"H x 9.5"D) and Large (23"W x 12"H x 12"D). 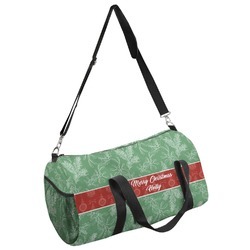 If you are on a sports team or simply travel often, this bag is perfect for you. It's a great bag to just throw in the back of your car for a weekend trip. 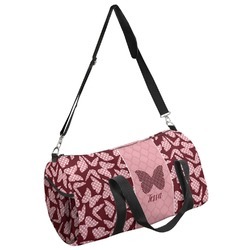 It also works perfect for a sports bag to keep cleats, clothes, and a ball. 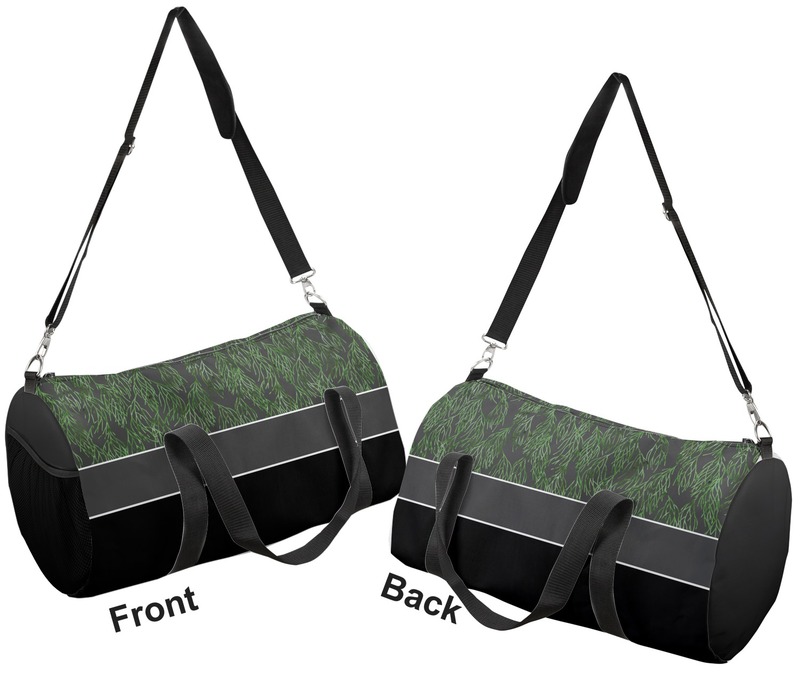 This duffle is a sturdy bag made of a canvas material. It comes in two sizes: Small (19"W x 9.5"H x 9.5"D) and Large (23"W x 12"H x 12"D). 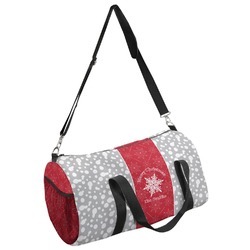 The bag is a cylindrical shape with a black adjustable strap and two handles. On one side is an elastic pouch to put a waterbottle or other small item. Your product will be sublimated with your design and is able to be designed on the front, back, and sides. Be sure to remember that the straps may cut into parts of your design if you upload your own artwork. Go into our design center to get started. Pick your school colors or just a favorite of your own. Add a fun graphic, pattern, and text! Have fun with it and make it yours! Be sure to check out our other sports gear in our Sports Accessories section! We have sports towels and water bottles that you'll love. Be sure to check out our other luggage as well! We have a hard shell suitcase that is to die for. Not only did my design turn out really well, but the quality of the product is incredible.